Delicious bruschetta with chicken liver pate. 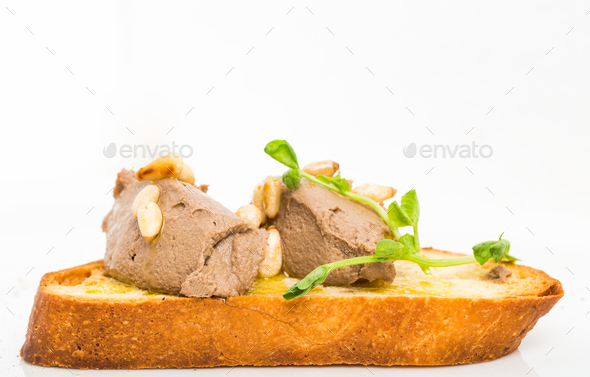 Delicious bruschetta with chicken liver pate and pine nuts. Macro. Photo can be used as a whole background.